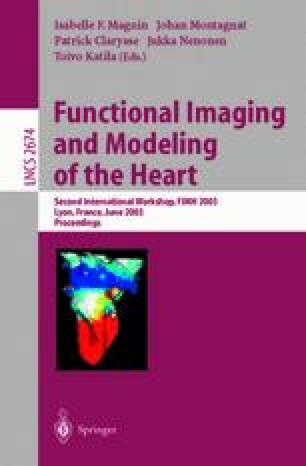 This paper presents a method to determine noninvasively relative pressures from magnetic resonance (MR) acceleration and velocity data. The technique is based on the complete Navier-Stokes equation associated with the direct measurement of the total acceleration, defined as the sum of the velocity derivative vs. time and the convective acceleration. It consists of determinining relative pressures by constructing a minimization problem of a quadratic energy function. The original ways of discretisation and computation allow to estimate relative pressures independently of a path of integration. The algorithm is applied to compute relative pressures over the diastolic filling of the left ventricle (LV) within a region of interest delineating the left atrium (LA) and the LV.